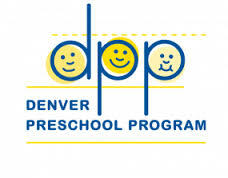 Rocky Mountain Public Broadcasting Network (RMPBS) and Denver Preschool Program (DPP) know that early childhood education is an essential factor in creating a solid foundation for successful students from a young age. RMPBS has partnered with DPP in an effort to create a public awareness campaign with the goal of educating parents/guardians on the importance of early childhood education and direct them towards resources that can help them provide educational opportunities for their children. Scott Reiman recently became a member of the Board of Directors at Rocky Mountain Public Broadcasting Network and has a vested interest in early childhood education. Through his work with the Reiman Foundation, Scott supports numerous educational organizations in Denver that are committed to ensuring children the best educational opportunities and equal chances at success.